The film has elements of fun, humour and issue-based commentary. 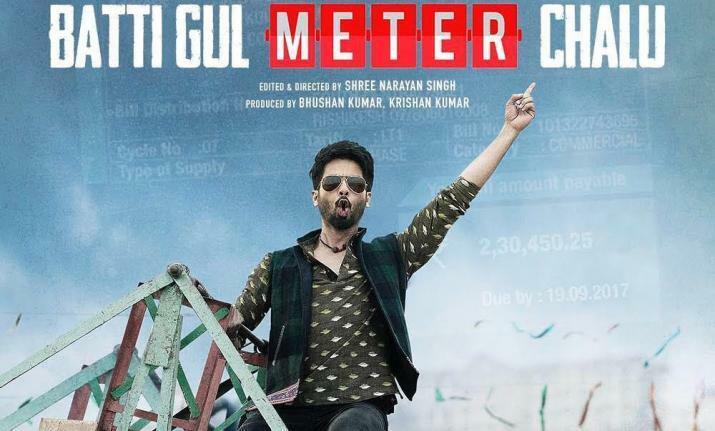 Actor Shahid Kapoor says his forthcoming film "Batti Gul Meter Chalu" is an extremely mainstream film which has elements of fun, humour and issue-based commentary. Shahid was interacting with the media at the trailer launch of "Batti Gul Meter Chalu" along with his co-actors Shraddha Kapoor and Divyendu Sharma, director Shree Narayan Singh and producer Bhushan Kumar on Friday here. Asked whether it's his conscious effort to mix up an issue-based film with his commercial film releases, Shahid said: "I don't think this film isn't a mainstream film. I think it's an extremely mainstream film. I think issues don't make a film non-mainstream. "It's the take on the issue, which makes a film non-mainstream. If this film had some serious title then this film's tonality would have been different and its reach would have been slightly limited. "I always feel that if you want to say something good then it must reach a wider audience and I think that's the talent of Shree (Narayan Singh) Sir because the title of his earlier film included word ‘toilet' which can put off people but it could reach such a large number of people." Praising the director more, the actor said: "The way he tells his story is like a commercial film. So, I think title of our film is very quirky and the film is full of humour and fun. In between all that, wherever we have got chance to give a message we have given the message about the issue." Talking about relevance of the film in India, Shahid said: "It talks about the issue of electricity which is a fundamental human right in India. There are around 31 million homes in our country where there is no electricity. "We all must have experienced that there is certain rise in the amount of bills after privatisation of electricity so, it's really a relevant issue. "I think metro cities like Mumbai don't have to deal with scarcity of electricity but if you go to the interior parts of India then you will realise how important this issue is among common people."